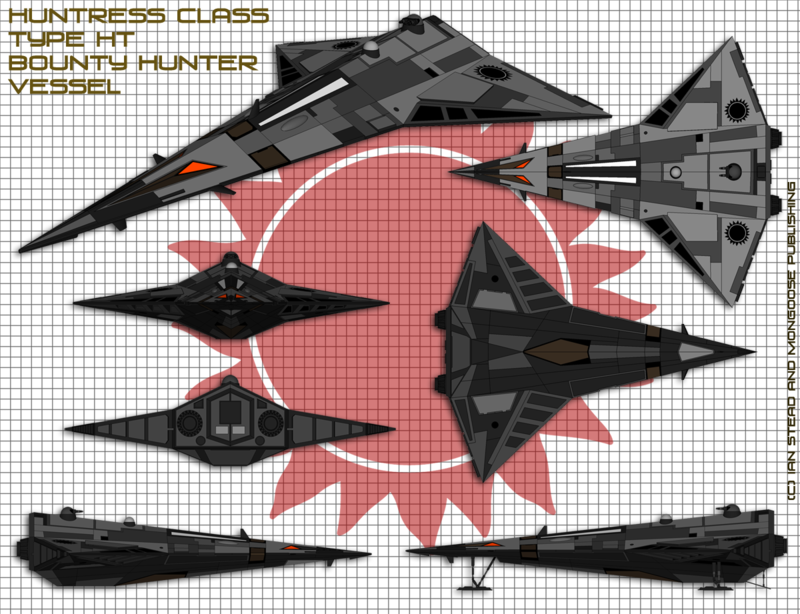 Old ship design. 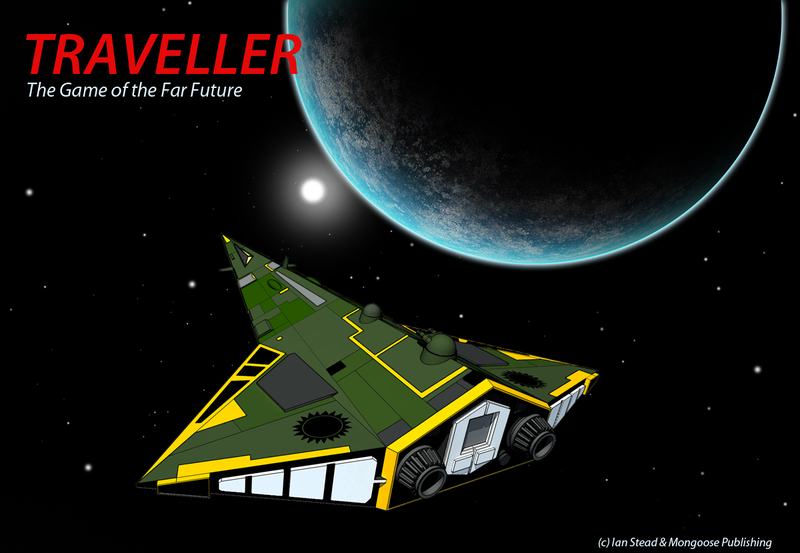 Fiddling with some ideas..
Kind of inspired by the deluxe Traveller box set. 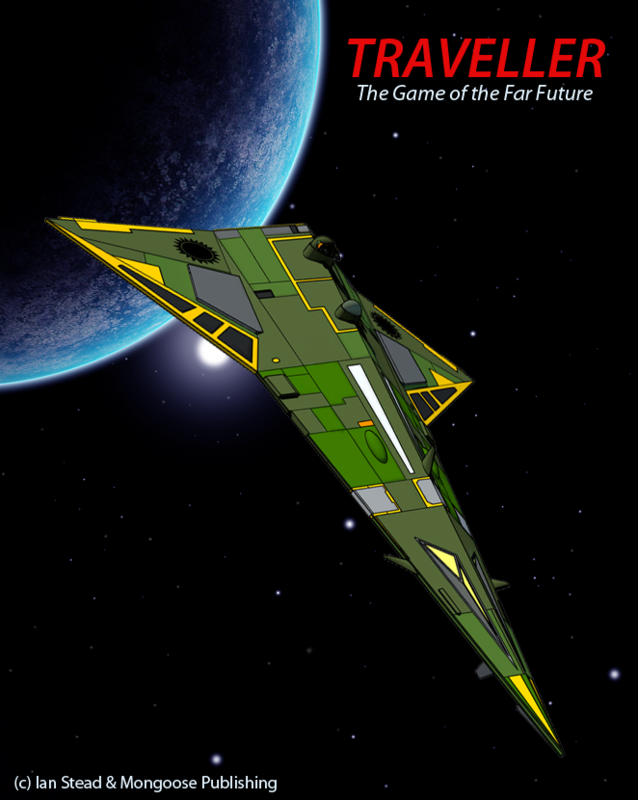 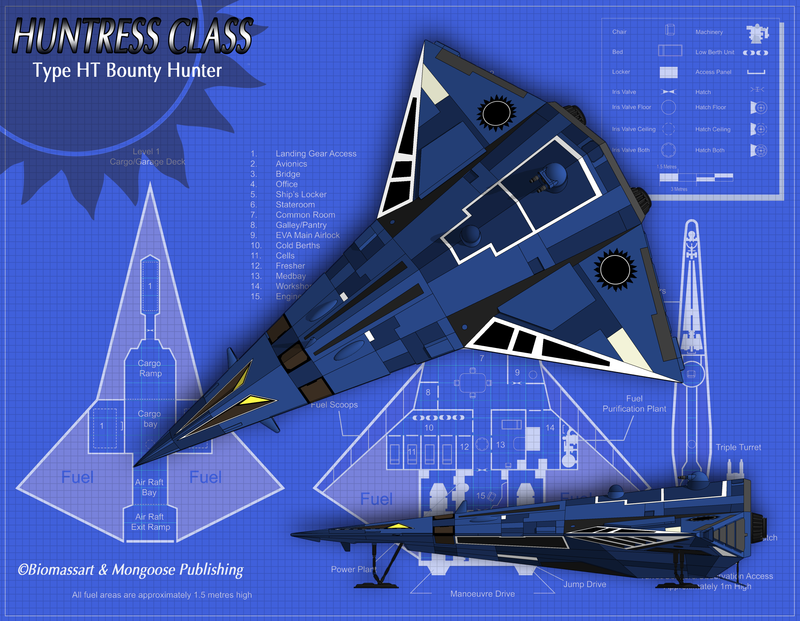 The Huntress is a bounty hunter ship I’ve done for Mongoose.